Magento is the world’s favourite open source ecommerce platform. It’s powerful, flexible, secure, robust and scalable. What more could you want? 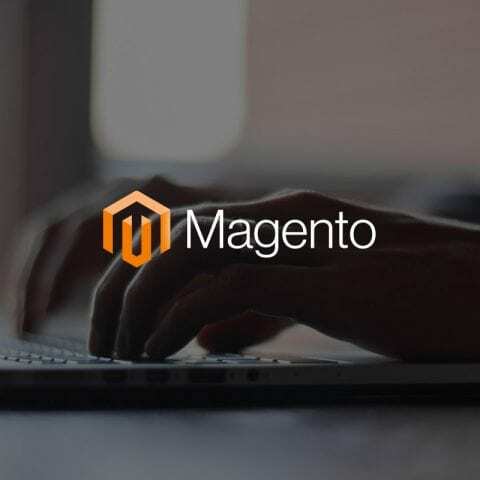 With Magento Open Source and Commerce editions there’s great value for money for small and medium-sized businesses and a complete ecommerce solution for businesses ready to take the next step in their ecommerce journey. We work with the experts – Magento Enterprise Partners, Williams Commerce. Together, we provide a one-stop shop for all your ecommerce needs and Magento services. All you have to do is continue to build your brilliant business. Magento’s flexibility makes it easy to change and scale, according to your needs. With the latest technology, developers have access to all the modern features. It’s easy to improve site conversion with a super-fast checkout and outstanding customer experience. We will work with you to find the best strategy and most cost effective solution for you. Our expert development team will help you get the most from your existing site or specify a new one. They are happy to work with your in-house team or pick up from wherever your previous developers left off. Seamless integration of your business systems can improve efficiency and your users’ experiences. Williams Commerce specialises in Magento, Microsoft® Dynamics NAV and ecommerce integration. The systems integration team has in-depth experience on a range of different technologies and platforms. They also have plenty of experience with a great variety of customers. Expert help when you need it gives you real peace of mind. You can control your support costs with a rolling monthly fixed support contract. There’s also a pay as you go option and a 24/7 emergency response service. Magento is an open source ecommerce platform. It provides you with flexibility and control over the content, look and functionality of your ecommerce store. Are there different version of Magento? Yes. There’s Magento Commerce and Magento Open Source. Magento 2 was released in July 2015. It is a new release with updated architecture and features. Since its launch, Magento 1 and Magento 2 have operated simultaneously, but only Magento 2 has new releases. What are the basic features of Magento? The basic features of Magento include reporting and analytics, product catalogues, customer accounts, order management, checkout and payment, and shipping.